I thought I had already been through the hardest physical challenges of my life. But I just reached a new peak – literally and metaphorically! Over the last three months Mitch and I have been so lucky to have been able to travel across Asia. I learnt more than I thought possible. And believe it or not it was not about learning about other cultures, seeing new architecture or admiring difference landscapes. Although that was nice too! But it was so much more! I’ve always been one of those people who thrives on being busy! Always something on the ‘to-do’ list, always ideas in the pipeline, rarely sitting still. But travelling taught me that getting some head and time space is ALL GOOD! For the first time ever, I was off without a full itinerary! And nothing bad happened, much to my surprise! I learnt to relax, to go with the flow and to enjoy seeing what opportunities crop and when you are ready and waiting, but with no expectations. Joy! We lived out of rucksacks for three months. I didn’t use face creams, lotions and potions (except for essential oils! ), I didn’t wear make-up, I didn’t blow dry my hair, and again… everything was ALL GOOD! Coming back to the UK I’ve realised I’m a bit of a hoarder, and I am going on a big minimalist mission now. Stay tuned for more on that another time! Being away also made me realise just how much I love the UK, my family and my friends. And I missed them! Sometimes, being away can help you appreciate what you have at home. Despite having an amazing time, we actually couldn’t wait to get back! 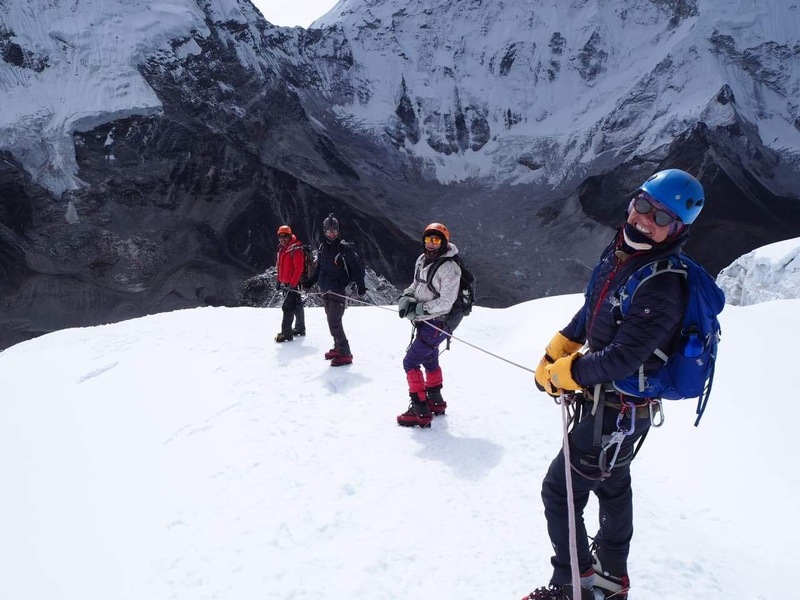 Mitch and I finished our trip trekking in the Himalayas and we summited Island Peak, all 6172m of it. And it was SO challenging. 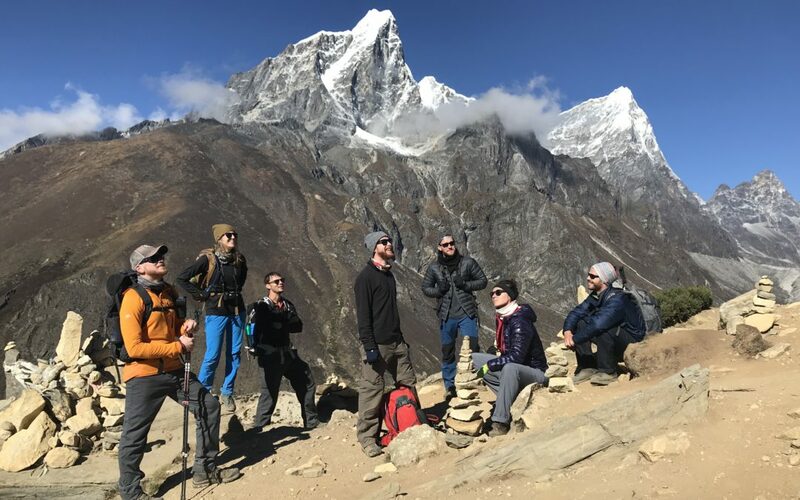 I got altitude sickness on my way to Everest Base Camp, and I wasn’t sure if I would be able to continue on to the summit. But some water and medication did the trick, and I made it to what felt like the top of the world! I questioned myself and my ability on the way up many times. But once I was near the top, and I knew I would make it, I felt untouchable. If I could do this, I could do anything. THIS IS WHY WE PUSH OURSELVES! TO prove just how capable we are. Mitch (who I couldn’t have done any of the travelling without! ), has created some little videos of our travels (Nepal is still to come). So feel free to check them out below. And if you have any questions about where we went and what we did, or you want to undertake your own challenge, then please feel free to get in touch with sarah@honeylawson.com.